Bluegrass music may have started in the southern Appalachian region of the United States, but it has found a home in the Finger Lakes, and that home has a brand new beautiful room in Geneva called FLX Live. Earlier this summer, a fellow FLX Insider (Carol Hicks) and I ventured into downtown Geneva for a night of Finger Lakes bluegrass at FLX Live with the Finger Lakes’ own The Crooked North opening for a young bluegrass phenom named Billy Strings. If you haven’t done it, I highly recommend a Saturday night out in downtown Geneva. It’s a bustling community full of restaurants, lively breweries and wine bars strewn about the busy streets. Pop into any one of these venues at any given time and you’ll surely find a local musician strumming away on guitar. On this Saturday evening, our night started at Parker’s Grille on the particularly lively Seneca Street, just down a few doors from one of the best music venues in all of New York State, the historic Smith Opera House. This casual bar and grill is always full of college students and eclectic locals mingling about, having a great time! We joined the fun and enjoyed some local Finger Lakes wine and beer, as well as some of the best chicken wings one can find outside of Buffalo, NY! After Parker’s, it was time for the main event. 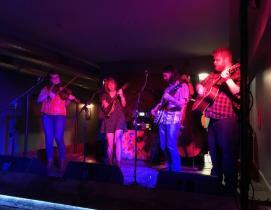 Just a short walk away was Exchange Street’s brand new FLX Live, waiting to explode with some Finger Lakes bluegrass! What a beautiful new venue! The room quickly filled up, but the long wooden bar made it easy to grab a drink at any given time. The drink list included a plethora of local wines and beers. The sound was exceptional, and even though the room filled up quickly, the sightlines were also fantastic, allowing you to see pretty well from just about anywhere in the room. The Crooked North started out the evening, led by Finger Lakes banjo virtuoso Ben Proctor and his wife Rita, who has the bluegrass voice of an angel. 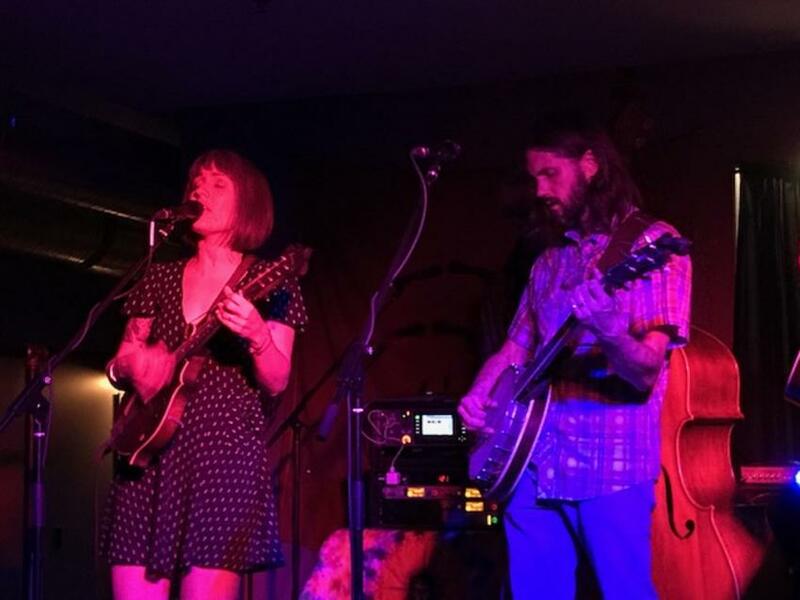 Ben and Rita led the five-piece bluegrass and Americana band through plenty of originals off their new album and some stirring covers, including a stellar rendition of the legendary Tom Waits’ Get Behind the Mule. While on this night The Crooked North was the opener, it’s only a matter of time until this band fills bigger and bigger rooms throughout the region. If every region has its own unique bluegrass sound, then The Crooked North IS the sound of the Finger Lakes! Next up was Billy Strings and his band. Billy hails from Traverse City, Michigan, by way of Nashville, and has assembled some of the finest bluegrass musicians in all of America to back up his otherworldly guitar playing. 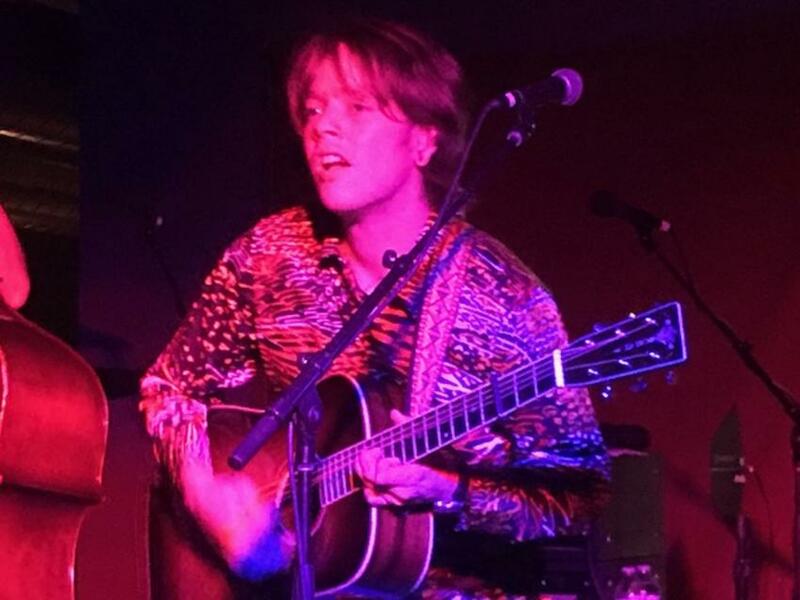 Billy Strings may only be in his 20s, but his playing is already drawing comparisons to legendary bluegrass pickers like Doc Watson and Del McCoury. Billy played a rousing set of originals and sprinkled in traditional bluegrass covers and even a cover from my favorite band, Phish! You may be thinking this night was special, and in some ways that’s what I’d like you to think. But the truth is, a night like this really isn’t that unique in the Finger Lakes. In a way, it’s what the Finger Lakes is all about. On any given night, whether it is in Geneva, Canandaigua or Naples, you’re likely to find some world-class music wafting up into the night sky. 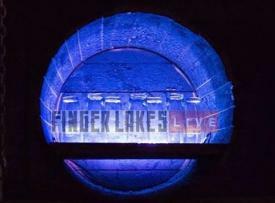 Want to find your own night of Finger Lakes bluegrass? Or rock and roll? Or country? Or classical? I promise you it’s easy to find. Just browse our events page to find your next Finger Lakes musical adventure!